July 14 marks Bastille Day, a national holiday commemorating the Storming of the Bastille in 1789, a key turning point in the French Revolution. It's also the first anniversary of the devastating Nice truck attack, which produced hundreds of casualties and understandably reduced the country to a state of despondent collective mourning. French police detained 10 individuals, which are suspected to be involved in the July terrorist attack in Nice. The French police made new arrests in connection with the deadly July terrorist attack in Nice. On July 26, according to France Info, French people are collecting money for a new scooter for Frank, the man who tried to stop the terrorist during the recent attack in Nice. French President Francois Hollande on Monday called on his compatriots to end disputes over the security measures during a recent deadly attack in country's southern city of Nice. 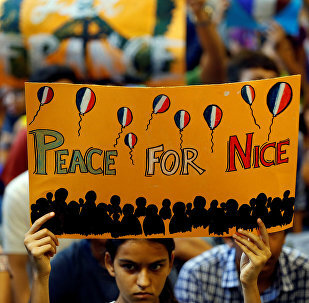 France’s anti-terrorist executive (sous-direction anti-terroriste- SDAT) has ordered Nice’s municipality authorities to destroy all CCTV footage of the Nice Attacks on Bastille Day that rocked the city on July 14, 2016. Philippe Blanchetier, lawyer of the municipality of Nice, spoke to Sputnik in an interview about this situation. Police and local authorities in the French city of Nice decided not to carry out personal searches on the day of terrorist attack because of personnel shortage, media reported. French President Francois Hollande said that 12 people who were victims of the truck attack in the Bastille Day truck ramming in the French resort of Nice are still fighting for their lives. Five suspects who were in contact with the Nice truck attacker prior to his deadly act have been detained, French prosecutor Francois Molins said. 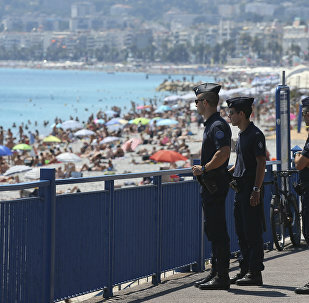 The security measures taken by the French police and interior ministry to protect people celebrating Bastille Day in Nice on July 14 were inadequate, French deputy Rudy Salles told Sputnik. Paris prosecutor Francois Molins said that Mohamed Laouej Bouhlel, the perpetrator of the Nice truck attack was considering his criminal plan for several months before carrying out the deed and had accomplices, according to Paris prosecutor Francois Molins. Bernard Cazeneuve, the French interior minister, decided to task the General Inspection of National Police with a technical evaluation of security and public order provisions after the deadly terrorist attack in the city of Nice. French President Francois Hollande said that 15 people who were in injured the terrorist attack in the French city of Nice, are in critical condition. The Polish Foreign Ministry confirms that two Polish women died when a gunman drove a truck into a crowd of revelers in the southern French resort of Nice, the ministry’s spokesman said Tuesday. Last week's deadly attack in Nice has reignited a debate in France over what kinds of measures must be taken in order to effectively combat the scourge of radical Islamist terrorism. Among the proposals is an unorthodox solution from France's Left Party: cooperate with Russia and Syria both diplomatically and through intelligence sharing. French authorities identified all people killed in deadly attack in southern French city of Nice, according to the Paris prosecutor's office. 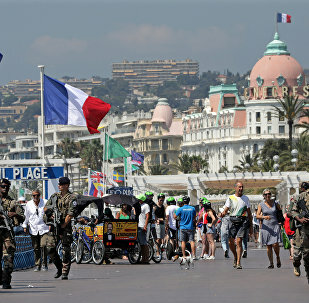 Russian Consul General in Marseille Sergey Molchanov said that another Russian citizen died after terrorist attack in the French resort city of Nice. In an attempt to analyze what lies behind the recent tragedy in France and coup attempt in Turkey, a RIA Novosti correspondent has concluded that the two events are “links of the same chain,” as there are common geopolitical processes which might have triggered such developments. The United States has confirmed the death of a third US citizen in the terrorist attack in Nice, France, last Thursday, US Department of State spokesperson Mark Toner told reporters on Monday.